Great Plains Construction (GPC) was founded in 2007 by Brannon Ward in Oklahoma City, Oklahoma. 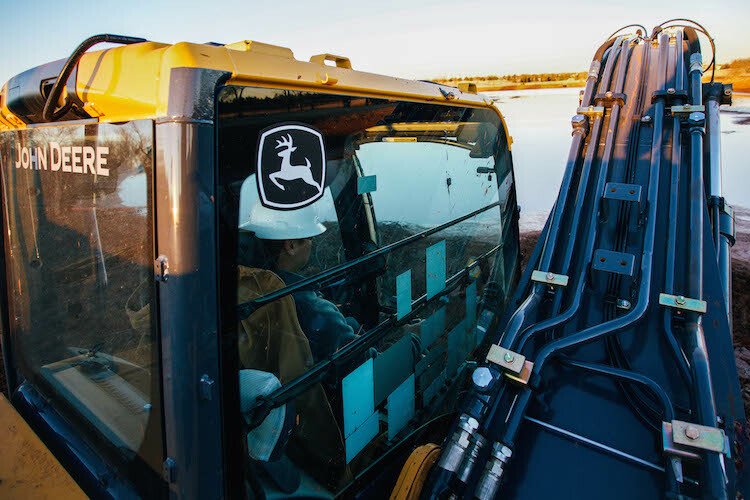 Since its inception, the company has grown from two employees and a backhoe to over 45 employees and a large fleet of John Deere equipment. Initially, the company’s focus was on excavating utility trenches, but over time there began to be an increasing demand for complete site work services. In 2011, GPC reconfigured the strategy of the company to focus more on providing turnkey site work and roustabout services for clients. Great Plains Construction offers excavation, construction, and oil and gas services in Oklahoma, Texas, Kansas, and New Mexico. As a member of ISNetworld and many other safety organizations, we make it a priority to provide a safe working environment for our employees and customers while completing all jobs in a timely and professional manner. With a long history of experience partnering with the energy industry, you can count on us to provide everything your company needs. Our Vision is to create a good working environment that helps every employee to be able to reach their full potential. Great Plains Construction supports an atmosphere that encourages team work, mutual respect for one another, and hard work. We strive to contribute to the success of our customers by being diversified and willing to adapt to each specific need. We will continue to provide for existing markets, as well as grow and adapt to new and expanding markets. At Great Plains Construction, we are continually preparing for the future by learning from the past, while also keeping an open mind to more efficient, innovative ways to meet our customer’s needs. Our mission is to create value to our customers and employees by staying focused on our core values of integrity, hard work, respect, and honesty. Our core values are integrity, hard work, respect, and honesty. Just as we are dedicated to creating value to our customers and employees, Great Plains Construction is committed to supporting activities that enhance and serve the communities in which we live. At GPC, service is an essential part of our culture and we support our employees in both finding and fulfilling community service opportunities and charitable contributions. Our mission - Create value to our customers and employees by staying focused on our core values of integrity, hard work, respect, and honesty.